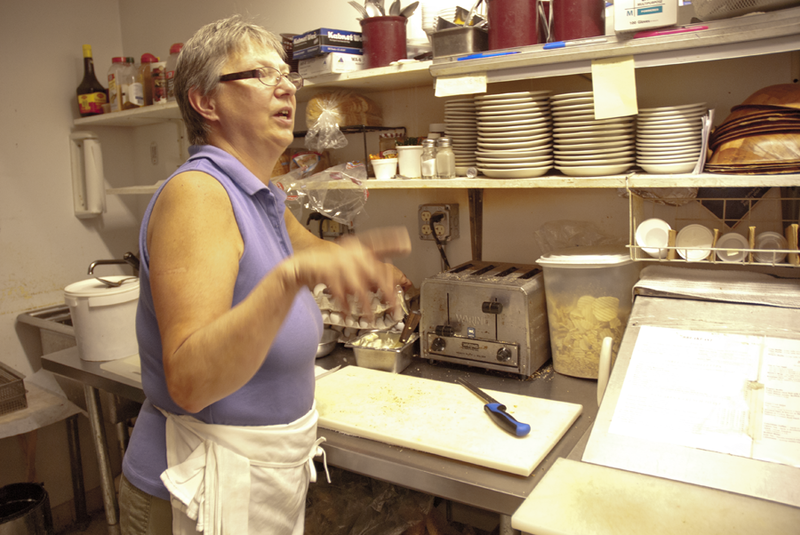 Notes: Cassie’s Cafe, the local diner in Roxbury, NY, opens at 6 a.m. The morning coffee crew rolls in around 7:30 to have muffins, egg sandwiches and coffee, and to talk about . . . golf, mostly. Eva and Bob work the tables, and Cassie is in the kitchen.